What do you get when you cross a dragon with a human? Gotta love stories that dabble into the fantasy realm when they aren’t looking at angels, vampires, werewolves and things like that. I have found that i LOVE to read those types of stories since they are familiar, yet it kind of seems like they all take a different twist that i find myself trying to guess where the twists are going to go and what characteristics they are going to have for their species. not the case with Dragons. i like the plot line of a treaty that was put in place ages ago that generations may not support, and want to fight back and overturn. that’s something that resonates with a lot of different non sci fy type stories. i also liked the fact that there were all these factions in the society that were either fighting for or defending the dragons – showing that you can’t be told what to do – you have to make your own choices on that one. 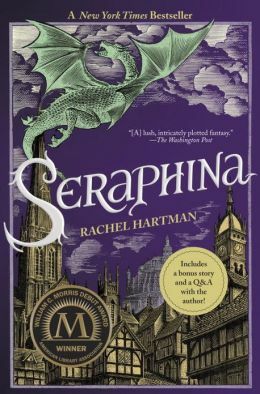 This entry was posted in fantasy and tagged dragons, fantasy, fire, kristin cashonre, rachel hartman, sci fi, seraphina by iscm13. Bookmark the permalink.